Written by Studio1337 on August 25, 2014. We launched this beautiful website for Today’s Kitchen Store! It’s always a pleasure working with great clients like Cheryl Davis. She’s passionate about her store and we are too! 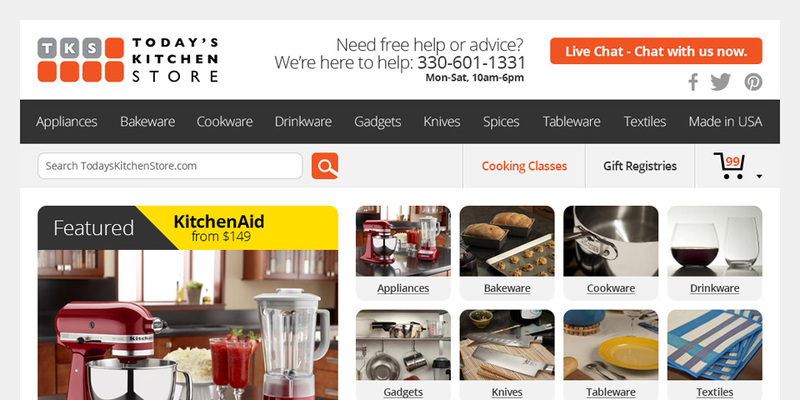 Check out Today’s Kitchen Store for the newest kitchen appliances, gadgets and more. We’re already making our holiday wish list! Learn more in the TKS Showcase.